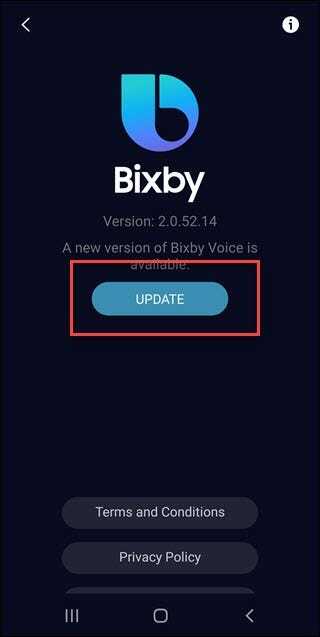 Bixby needs to be on at least version 2.1.04.18 for this to work. If you don’t have that, tap the update button. 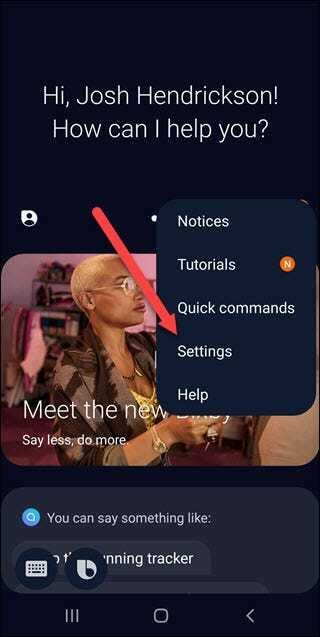 After the update, tap the three vertical dots and tap “Settings” again. 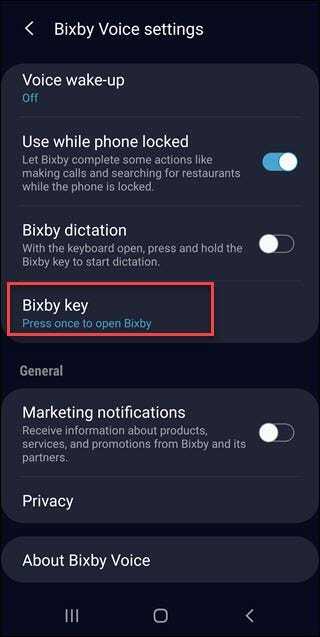 Scroll down and find “Bixby Key.” Tap on that. 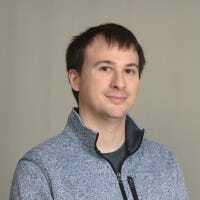 You can’t completely disable Bixy anymore, which is terrible. The next best thing is to choose the “Double press to open Bixby” option, you’re unlikely to double press by accident. Under the “double press” option toggle on the “use single” press option, this will let you remap the single press to another app. 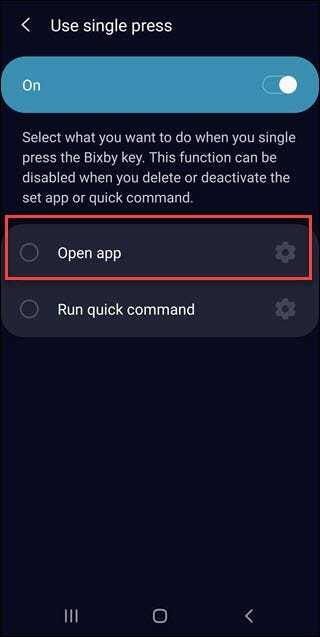 On the next screen, you can choose “Open app” or “run quick command.” To set the single press to something like Google Assistant, choose Open app. 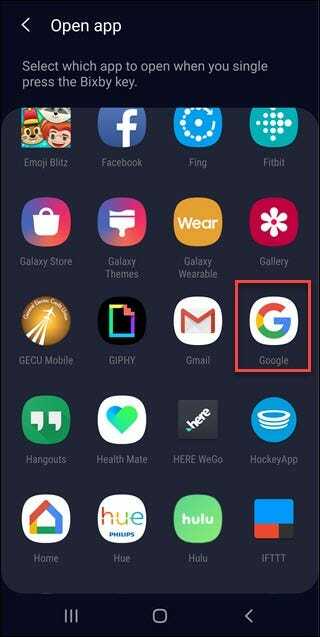 Then scroll to the app you want to use and tap it—in this case, the Google app. 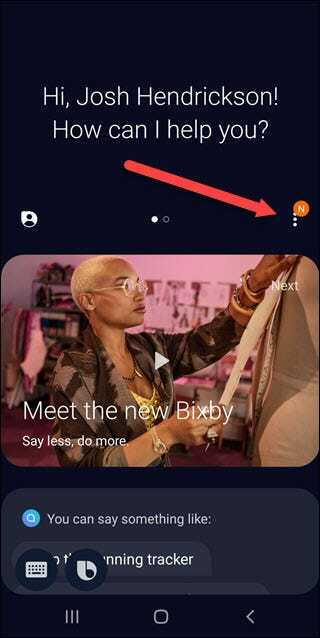 And now your Bixby button is more useful. This isn’t perfect, and it’d be great if you could turn off Bixby entirely. But at least you’re less likely to accidentally trigger it. 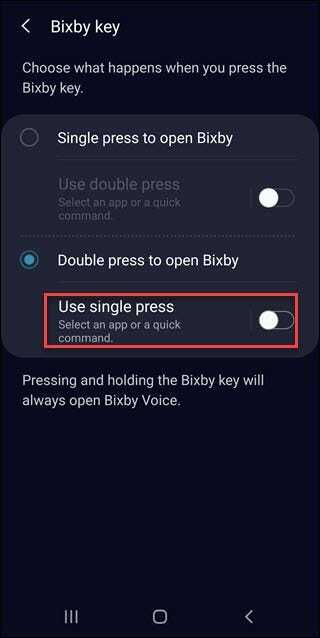 And if you don’t want the button to do anything, you can get close to it—just make Bixby a double press and don’t assign anything to the single press option.